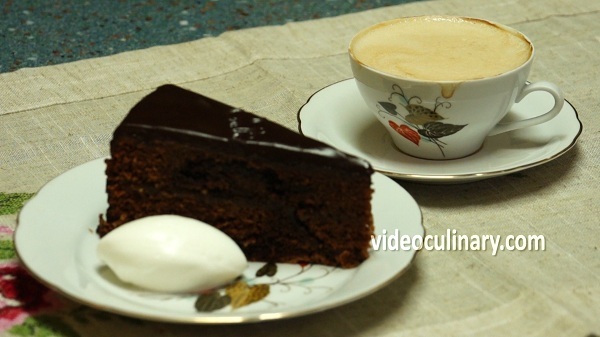 Sachertorte is probably the most famous chocolate cake in the world. The “original Sacher torte” was created in 1832 for Prince Klemens Von Metternich, by the sixteen-year-old pastry apprentice Franz Sacher. The recipe is a well-kept secret, known only to the staff at the Sacher Hotel in Vienna, Austria. 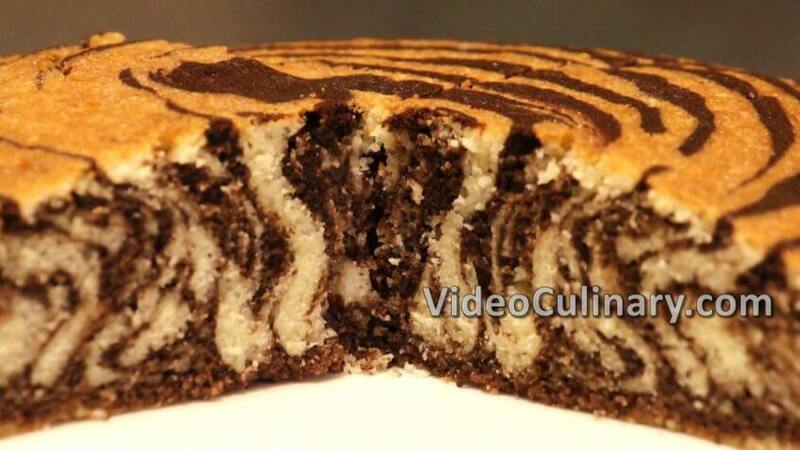 The cake consists of chocolate sponge, apricot jam filling, and chocolate glaze. 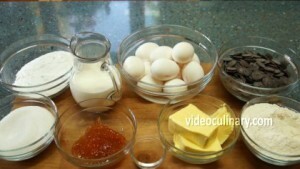 To make Sacher torte, first separate 12 eggs. 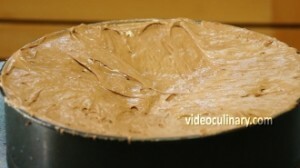 Melt 270 grams (10 oz) of dark chocolate in a bowl over simmering water. 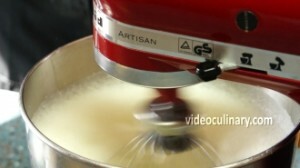 Place 270 grams (10 oz) of soft butter in a bowl of a stand mixer. Add 220 grams (8 oz) of powdered sugar and a pinch of cinnamon. Beat until light and creamy. Gradually add the yolks, scraping down the sides of the bowl once or twice. 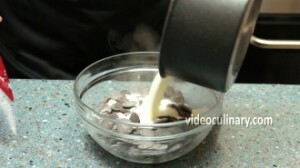 Add the melted chocolate and mix just until blended. 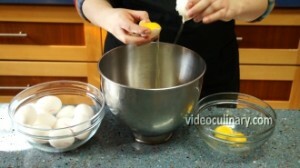 In a separate bowl, whip the egg whites until foamy. 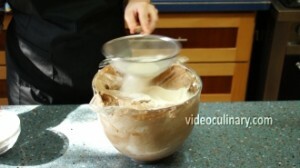 Gradually add 220 grams (8 oz) of sugar and whip until stiff. 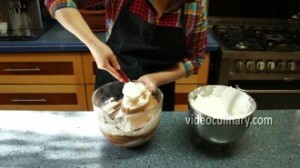 Fold 1/3 of the whipped egg whites into the chocolate mixture to lighten it up, and then fold the remaining whipped egg whites. Add 240 grams (8.5 oz) of sifted flour in 3 batches. Fold in one direction just until incorporated. Transfer the batter into a 26 cm (10 inch) cake pan lined with parchment paper. 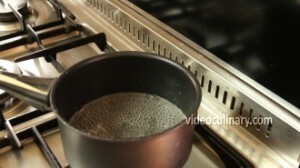 To prevent the cake from rising in the middle, spread the batter from the center out, creating a slightly higher edge. Bake at an oven preheated to 170°C (340°F) for 1 hour, until an inserted skewer comes out clean. Make the rum simple syrup: Combine 150 grams (5.5 oz) of sugar and 150 ml (5.5 fl oz) of water in a saucepot, stir and bring to boil. Remove from the heat and cool. Add 3 tablespoons of rum. 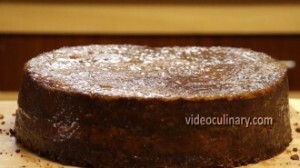 Cool the cake in the pan for a few minutes, unmold, remove the parchment paper and cool on a rack or a wooden board. 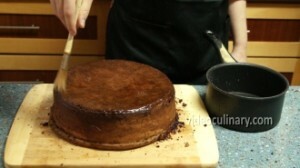 Brush the cake with 1/3 of the rum simple syrup, cover and set aside overnight. 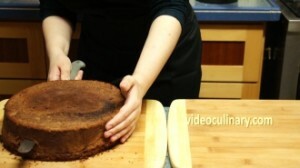 Trim the top and sides of the cake. 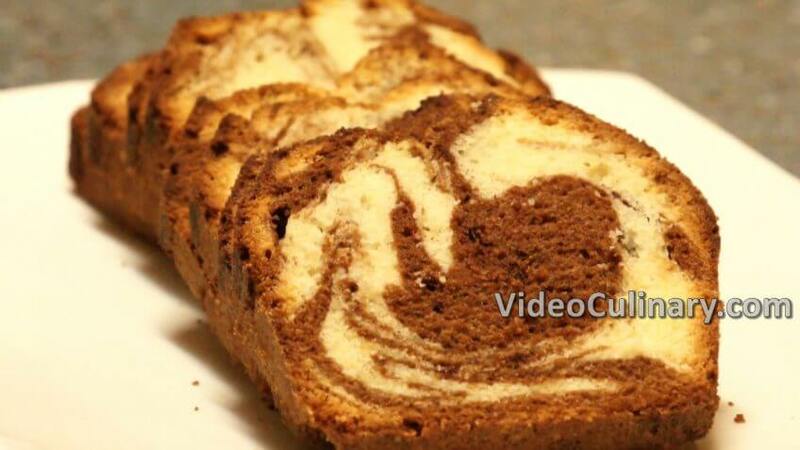 Cut the cake in half and brush both layers with the remaining rum syrup. Spread apricot jam over one layer of cake. 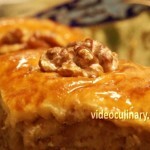 Set the other layer on top and brush the top and sides with apricot jam. We used about 200 grams (7 oz) of jam. Make the chocolate ganache (glaze): Bring 200 ml (7 fl oz) of heavy cream to simmer and pour over 350 grams (12 oz) of chocolate. Stir until melted and smooth. Place the cake on a rack. 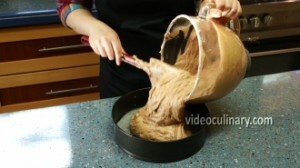 Pour the chocolate glaze over the top and the sides of the cake. Use a spatula to spread the glaze evenly. You could use any leftover chocolate glaze again by putting it away in the fridge and warming it up in a bowl over simmering water next time you glaze a cake. 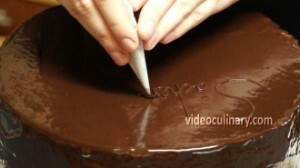 Pipe the word “Sachertorte” across the top of the cake for a classic finish. Refrigerate until the glaze it set, transfer to a serving plate and enjoy! 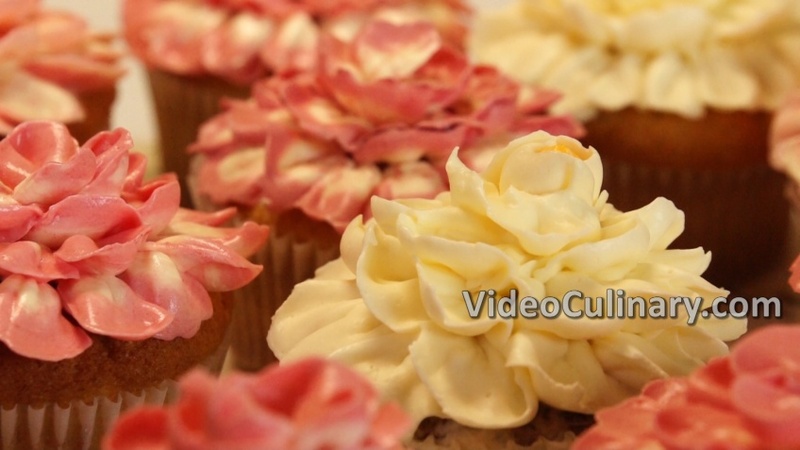 Visit our website for a Black Forest Cake, Linzer Torte, Apple Strudel and more detailed recipes!